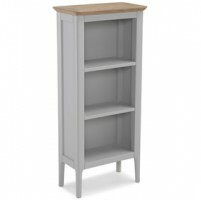 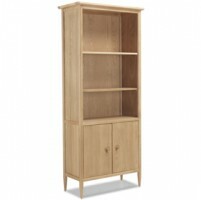 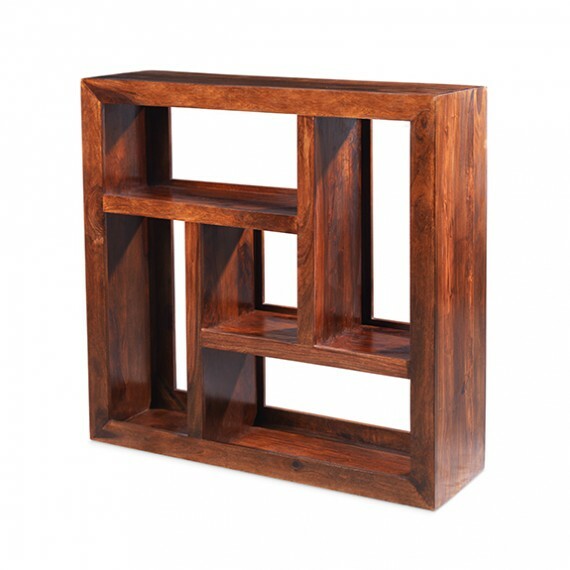 Looking like a piece of modern art, this attractive unit will help you make imaginative use of space in your living room. 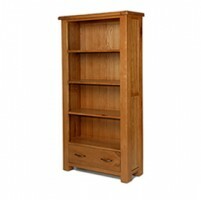 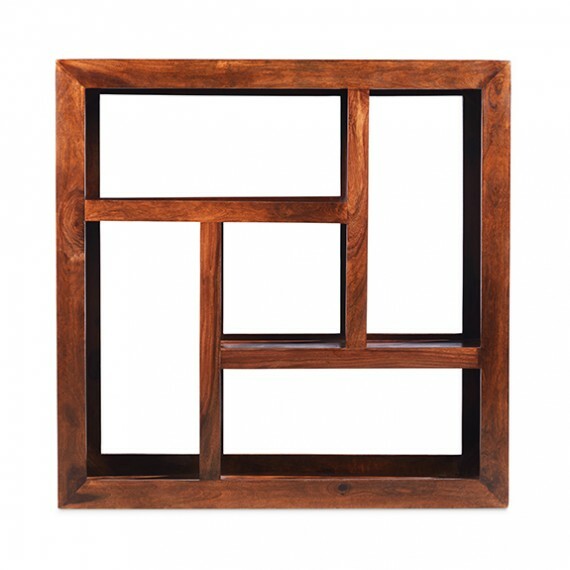 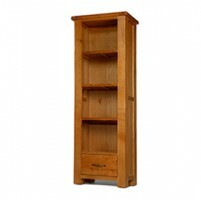 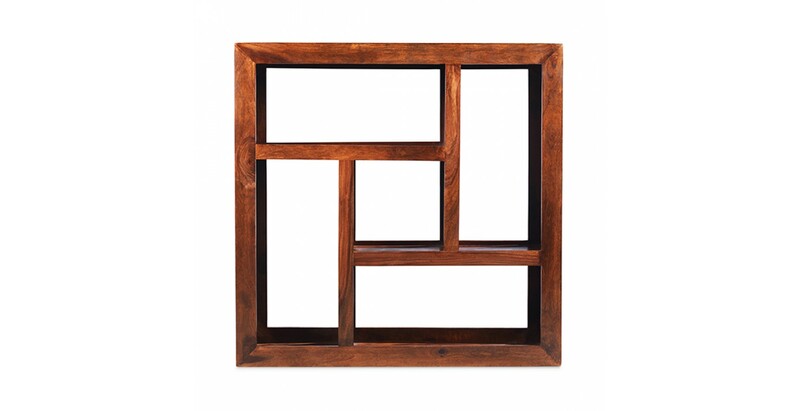 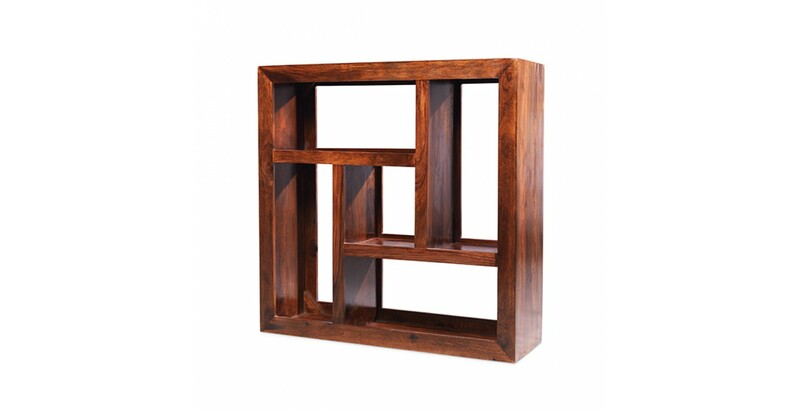 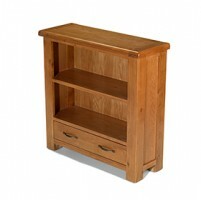 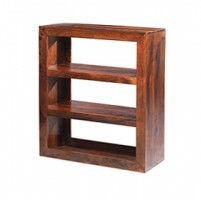 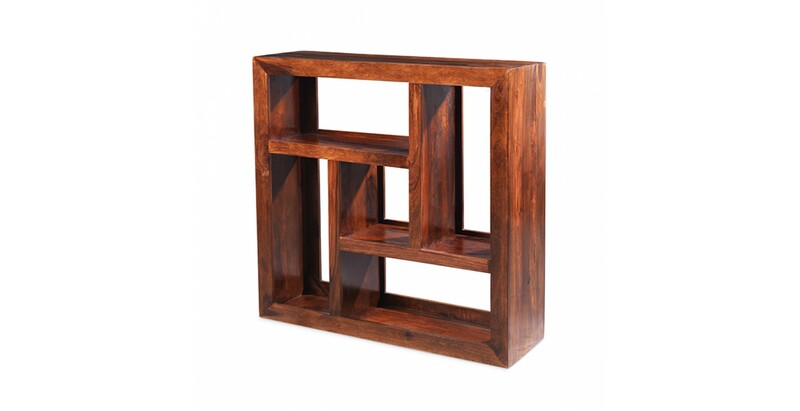 Four oblong shelves are arranged around a central cube that will look superb when displaying your favourite things. 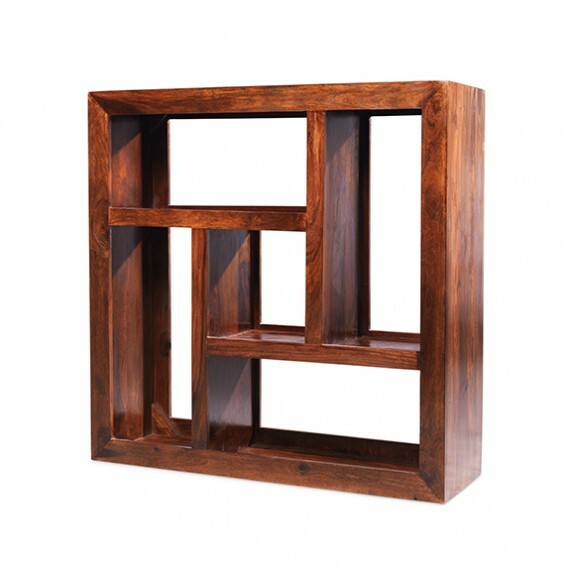 Ideal for open-plan rooms, its contemporary design combines well with its warm, dark appearance. 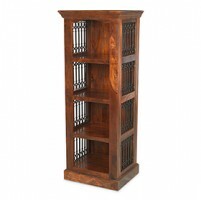 Handmade from sheesham wood and finished with a wax lacquer that highlights its distinctive rustic markings, this lovely unit will serve you well for years.